In Science Salon # 60 — exceptionally important conversation — Dr. Shermer discusses at length the background to and research of Dr. Nicholas Christakis, a physician and evolutionary sociologist famous for his study of social networks in humans and other animals. PLUS: The breadth of what can be meant by the word “hoax” makes the concept — and consequences — worthy of renewed study. Michelle E. Ainsworth reviews Bunk: The Rise of Hoaxes, Humbug, Plagiarists, Phonies, Post-Facts, and Fake News by Kevin Young and Hoax: A History of Deception: 5000 Years of Fakes, Forgeries, and Fallacies by Ian Tattersall and Peter Nevraumont. In Science Salon # 60 — an exceptionally important conversation — Dr. Shermer discusses at length the background to and research of Dr. Nicholas Christakis, a physician and evolutionary sociologist famous for his study of social networks in humans and other animals. Most people take an attack on their beliefs as an attack on their identity. Andrew Cooper-Sansone avers that to succeed in changing minds and building a better world, we must begin by cultivating a compassionate view of our enemies’ deeply-held and identify-defining beliefs. In Science Salon # 55, Dr. Michael Shermer speaks with Dr. David Sloan Wilson, the renowned evolutionary biologist and Distinguished Professor of Biology and Anthropology at Binghamton University, about his new book This View of Life: Completing the Darwinian Revolution. Happy New Year! Relax and enjoy listening to episode 49 of the Science Salon Podcast in which Michael Shermer speaks with the renowned evolutionary behavioral scientist and Concordia University professor Dr. Gad Saad. Plus, regular columnist Carol Tavris reminds us that the human need for touch is significant. In this episode of the Science Salon Podcast, Michael Shermer talks to the renowned evolutionary behavioral scientist and Concordia University professor Dr. Gad Saad. Humans have long seen ourselves as the center of the universe. This viewpoint — a persistent paradigm of our own unique self-importance — is as dangerous as it is false. In this Science Salon with Michael Shermer based on his new book Through a Glass Brightly noted biologist and evolutionary psychologist David Barash explores the process by which science has, throughout time, cut humanity “down to size,” and how humanity has responded. Nathan H. Lents and Lila Kazemian discuss evidence from a variety of disciplines as disparate as animal behavior and moral theology that point toward more humane, efficient, and effective responses to crime and punishment that work in concert, rather than in conflict, with our evolutionary psychology. 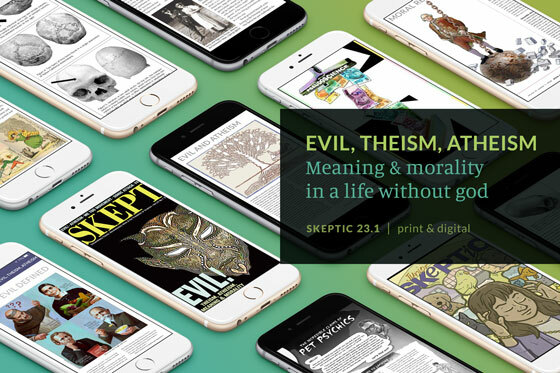 eSkeptic delivers great articles, videos, podcasts, reviews, event announcements, and more to your inbox. 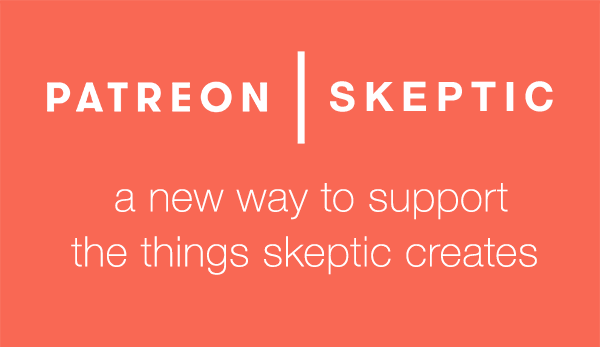 Please support the work of the Skeptics Society. Make the world a more rational place and help us defend the role of science in society. 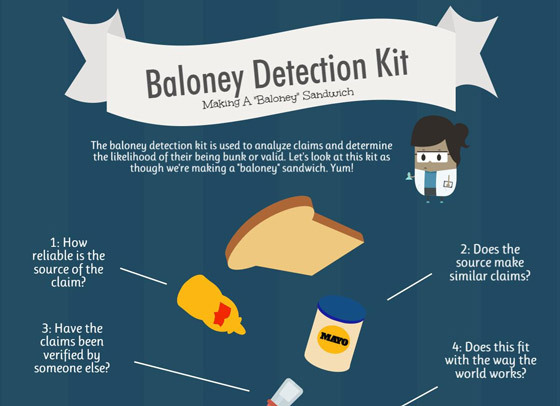 For a class project, a pair of 11th grade physics students created the infographic shown below, inspired by Michael Shermer’s Baloney Detection Kit: a 16-page booklet designed to hone your critical thinking skills. Harriet Hall M.D. discusses: alternative versus conventional medicine, flu fear mongering, chiropractic, vaccines and autism, placebo effect, diet, homeopathy, acupuncture, “natural remedies,” and detoxification. Understanding the difference could save your life! 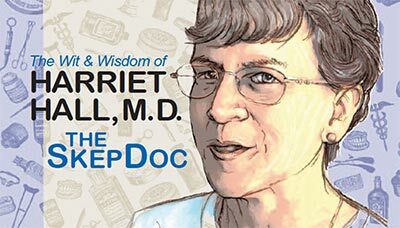 In this superb 10-part video lecture series, Harriet Hall M.D., contrasts science-based medicine with so-called “complementary and alternative” methods. Is Terrorism an Existential Threat? This free booklet reveals 10 myths that explain why terrorism is not a threat to our way of life or our survival. 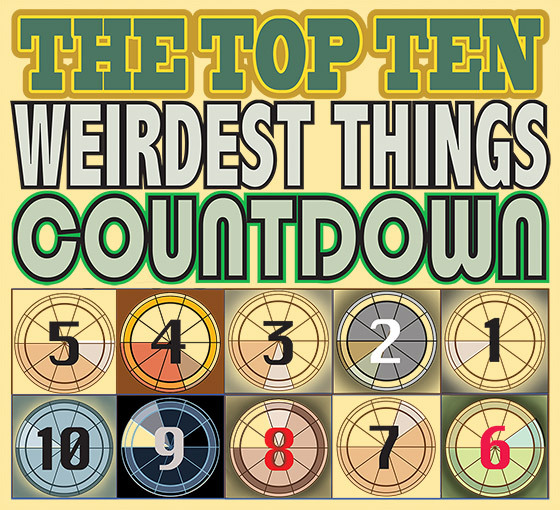 Michael Shermer has compiled a list of the top 10 strangest beliefs that he has encountered in his quarter century as a professional skeptic. Who believes them? Why? How can you tell if they’re true? 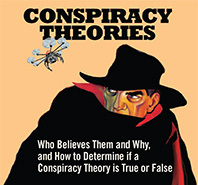 What is a conspiracy theory, why do people believe in them, and can you tell the difference between a true conspiracy and a false one? If humans came from apes, why aren’t apes evolving into humans? Find out in this pamphlet! Psychic readings and fortunetelling are an ancient art — a combination of acting and psychological manipulation. 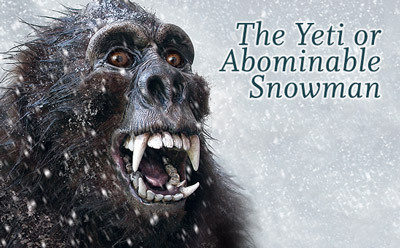 Download and print 5 Cryptid Cards created by Junior Skeptic Editor Daniel Loxton. Creatures include: The Yeti, Griffin, Sasquatch/Bigfoot, Loch Ness Monster, and the Cadborosaurus.